Ceiling Soundproofing – Sharing your living space with neighbors itself is a daunting experience, but the struggle with noise from the neighbors living above is the biggest nightmare one can face. Kids and pets are playing and running around upstairs, footsteps, voices, and tv noise, so it sounds like neighbors living in the same room with you can ruin your peace of mind and joy of living in your own private space. As most of the hard floors are connected to subfloor and ceiling below is screwed to the bottom of the same level joist. The impact of the footsteps create vibrations which travel through everything that is connected. Soundproofing products like Mass Loaded Vinyl or Green Glue can improve and reduce airborne noises significantly but can not mitigate vibration created by food steps. Sound Isolation products are the simplest solution for successfully breaking the connection between upstairs and downstairs for better Soundproofing. All Noise Control has different ceiling soundproofing solutions for different ceiling types in homes, for offices, Commercial spaces, existing buildings or new construction projects. By replacing your existing tiles with Acoustical Ceiling Tiles or by installing these directly in a new project, you can successfully improve noise control performance in your building. Sound issues in Existing or New Suspended ceiling can be improved by installing custom made ANC Blocker Ceiling Tiles or High NRC tiles. 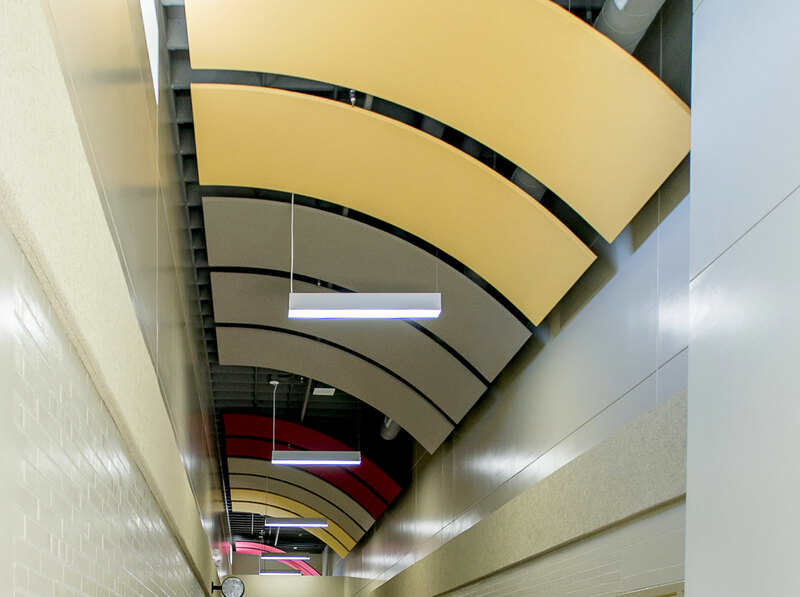 Acoustical Ceiling Tile Barrier lowers sound transmission as well as reducing reverberation. Additional soundproofing enhancement can be achieved for new and existing ceilings already using ceiling tiles & grids. Combining Ceiling Tile Barrier with Acoustic tiles will sure to give you the ideal, cost-effective, industrial strength solution for Industrial and Office space. All Noise Control provides consultations and comprehensive solutions for Sound and Acoustical issues anywhere, be it a home, office, apartment complex, home theater, recording studios, Our Acoustic Experts are always available to assist and guide you. Type in a question & your email, and we’ll respond immediately!